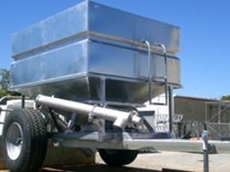 Hay Feeders, Sheep Pellet Feeders, Trailers, Cattle Feeders, Loading Ramps, Fire Fighting Tanks, Fuel Trailers, Portable Sheep Yards and Stock Grids. Hereiz Gentle Solutions offer the follow services: Horse / Human Communication, Spooking and Shying, Mounting, Foot Handling, Ears, Clippers, Spraying, Bathing, Leading and Driving and Trailer Loading. Minchies Stockfeeds are born from 20 years of dairy farming experience by a team of animal owners and lovers. Their products make feeding simpler and cheaper with less wastage and greater nutritional benefits than current feeding methods. Wesfeeds is Western Australia's largest stockfeed mill and is one of Australia's leading manufacturers of processed animal feed products, producing a range of compound feeds and nutritional services for commercial and domestic animals. 23/11/12 - The second webinar in the annual Rutgers Equine Science Centre webinar series will take place on December 4. 19/07/11 - FeedXL has been shortlisted for the “Best Software” category in the Australian Business Award 2011 for their FeedXL Online Horse Nutrition Software. 26/02/10 - The Feeders, Stock Feeders and Drinkers aim to make feeding easier for a large number of penned animals on the farm, including stud sheep, dogs, goats, calves etc. 28/10/09 - Equine Health is the most important factor in a long and happy life of a horse. 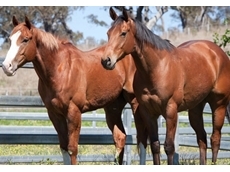 Horse Feed Supplements from Equi-Aide guarantee that equine nutrition needs are taken care of. 19/08/09 - 707 Allrounder stockfeed Pellets contain no Antibiotics or growth promotents. 05/05/09 - A range of wheeled medium feeders with varying capacities is now available from Paton industries.